To make it short : atm i like the game. And i like it much more than the PoS WoT. Contrary to your opinion, this game fails because there is no CW. Every person decent at this game wants clan wars. Actually there is no content for clans, other than a shared tag and emblem on planes. Game is pvp, so people tend to play where there is population. Whoever wants pvp, will not play at tier 9-10 where games are 1v1 2v2 , filled with bots. If you cant handle some beatings until you learn the game from the better players, you shouldnt play pvp games. What is so fun about xmas event? The fact that 99% of players wont be able to complete it ?It's nothing different from regular play, just some extra pathetic rewards. Edited by Horcan, 10 January 2019 - 01:35 PM. This game fails because of poor graphic, badly explained game controls (with bad default settings) and because of competitions that started earlier and had product that is more appealing to others. Additionally problems were lack of end content, bad same tier match making that lead to huge wait time for battles, as well as all the bugs. Maybe minor problem also was fact that heavy fighters use to be overpowered. Also there is lack of funding in marketing. Like what for instance? do make a list for us to see. I wondered about that ... dislike the amount of extras ?? I do not fully agree with you. if you pay you will progress in the overall game faster, the battle impact is minimal. he gold ammo/consumables are not that much game changing, compared to the credits ammo/consumables. Camo - I agree, still you can take it for limited time it with credits. Boosters do not make direct impact to the gameplay, they only shortens the grind. Still they boost a lot (pilot, xp, credits). Premium planes are useless without the credit/xp potential and low service costs. 99% of the premium planes are weaker than their tech equivalents. The difference here is many people (including me) prefer to specialize the premium planes for adequate gaming. Well there is bugs but i think that game would be boring without it. I assume you have no joystick ?? We had those at the beginning. There was no Himmelsdorf but here's El Halouf and there were several more. 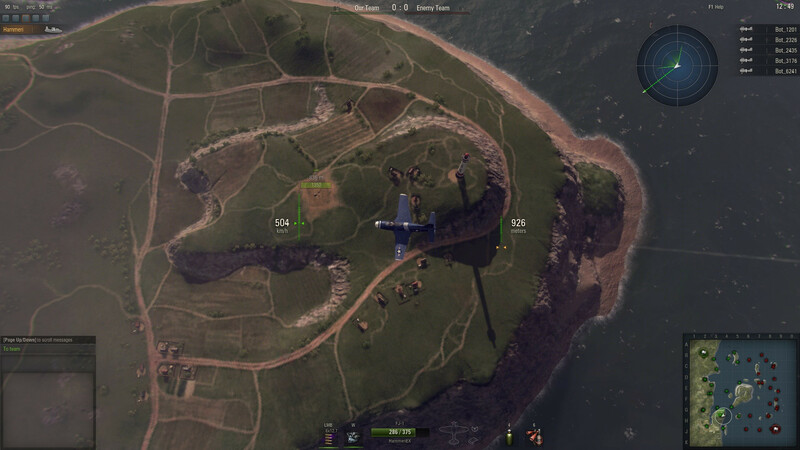 The fun part was flying over the whole map and finding this small quadrant that was exactly like in WoT. Not always in the middle, and not important strategically in any way but hey, it was there :-) The problem was difference in scale. 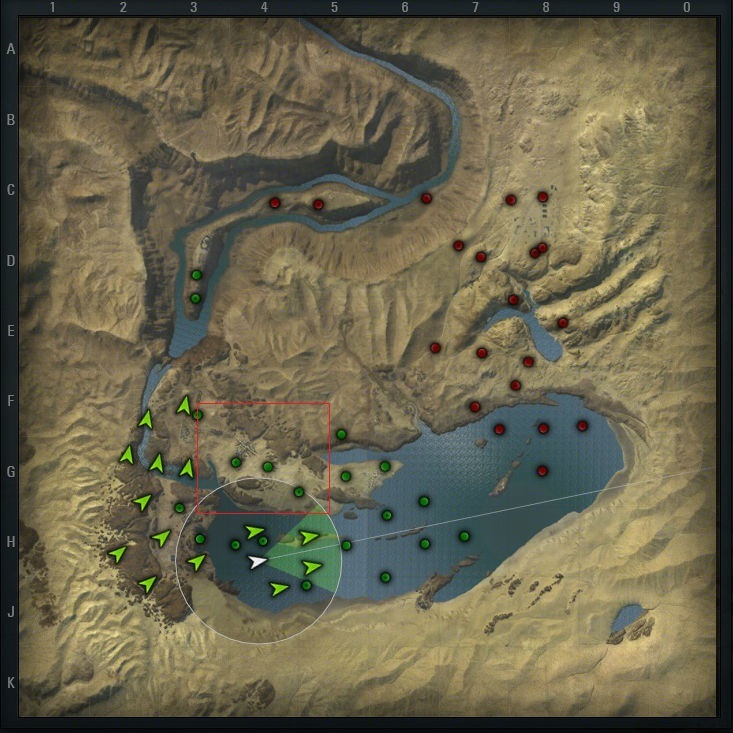 WoT maps are like 1,5 km x 1,5 km, here it's 15 x 15 km or more. And you will surely recognize this small part, I think it's called Cliff or something - one with a lighthouse on the hill. Edited by zen_monk_, 10 January 2019 - 03:34 PM. ...this would be a simply brilliant game. WG, make efforts in this direction and all would be great. I get pissed often, but without that i wouldn't be here on forums. You come across as someone with an inferiority complex. You're the only one ranting since you arrived on the scene, blaming everything around you as an excuse for not doing well. Above ^^ just proves my point. BTW, you'll never find a replay or screenshot of me being rude in game, here or in WoT. I rarely chat and if I do it's usually to say hello or to thank someone for playing well, so don't think you know me, most likely you're describing yourself. Just to point out that those 3k battles were in the last year as everyone's account was reset with the launch of WoWP's 2.0. Edited by BravelyRanAway, 10 January 2019 - 09:49 PM. And what's your excuse for not being able to cough up ~56 euro per year assuming you use a 30% coupon from somewhere? Or ~68 euro going by the regular 15% discount.